Building the hidden Minecraft piston door. Everyone loves to have a hidden lair in their Minecraft construction. Building a secret room for your own private alchemy lab or secret treasure storage can be easily done. However, before building the room, you should carefully plan the ways a player may able to identify, enter, and exit that covert chamber. Lucky for you, learning how to make a hidden door in Minecraft is easy – all you need is building blocks, sticky pistons and redstone. 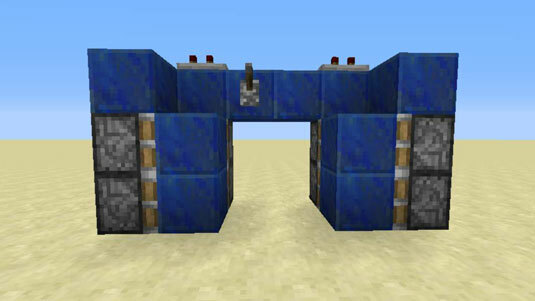 To build a piston door, follow these steps. Add 4 Sticky Pistons to Each Side of the Door. Be sure to place your sticky pistons carefully to ensure they will be able to open and close the secret door. 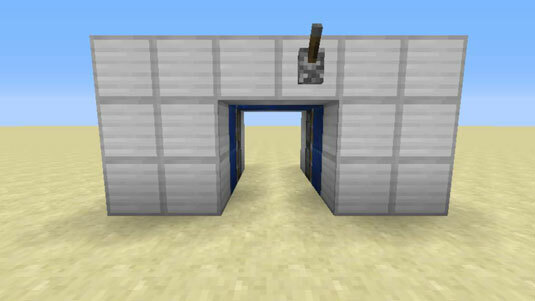 For building a simple 2×2 hidden door, place the pistons as seen above. Add 4 sticky pistons to the back of the door. By inserting an additional 4 sticky pistons to the back, your door will now be able to move when properly activated. Now you can move onto Step 3 which includes using redstone dust, required to power the opening and closing of your piston door. 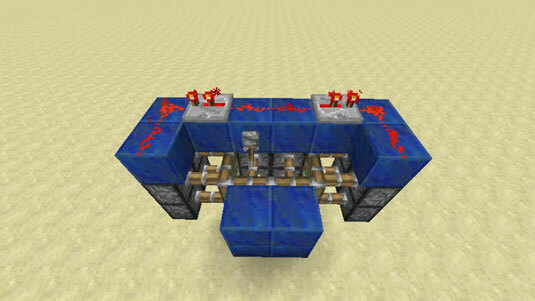 On top, place a layer of lapis with redstone dust and 2 repeaters facing each other and set to 2 ticks. 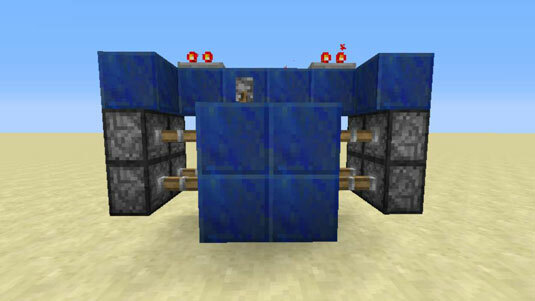 Think of the redstone dust as the fuel that powers your doors, essentially by moving the pistons which will actually move the door. The layer of lapis and repeaters properly facing each other are required. In this example, we are working with a 2×2 piston door, so we will set the repeaters to 2 ticks, which designates how far the movement will span to. Add a lever to the front of the door. The lever essentially acts as a traditional door handle. This switch allows a player to turn on the power, activating the redstone signals, thus moving the sticky pistons, and resulting in the opening and closing of your door! The figure above shows how the final contraption should look. 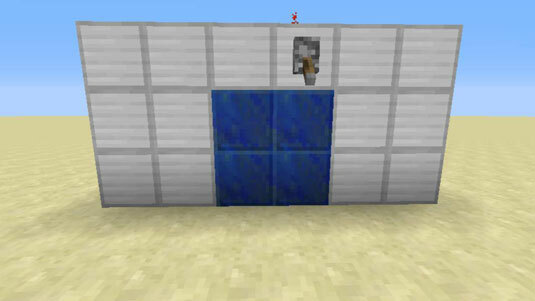 To see how this door will function in a Minecraft game, add a wall around the lapis, using iron. Change the lever to the outside wall. When the lever is off, the door is open. When you activate the redstone signal by pulling on the lever, the doors close. This design completely hides the sticky pistons, giving the wall and door a sleek finish. Many players will often create advanced hidden doors through complex usage of sticky pistons and repeaters so that the hidden door lever can be placed in a secret location, that is not directly near the door!